The show is centered around child geniuses who are quizzed on the level of knowledge that they hold in their particular subject of expertise. Their parents are in control as to how far they are allowed to continue in the “game”. Filming started for the production on Thursday at “L.A. Center Studios” in Downtown Los Angeles. With the exception of the first day, the crew is shooting approximately four one-hour long episodes each day on set. Though Mark Burnett was on-hand back stage Friday, he never appeared on stage with other producers. The stage is quite impressive and is reminiscent of the “Don’t Forget the Lyrics” set. 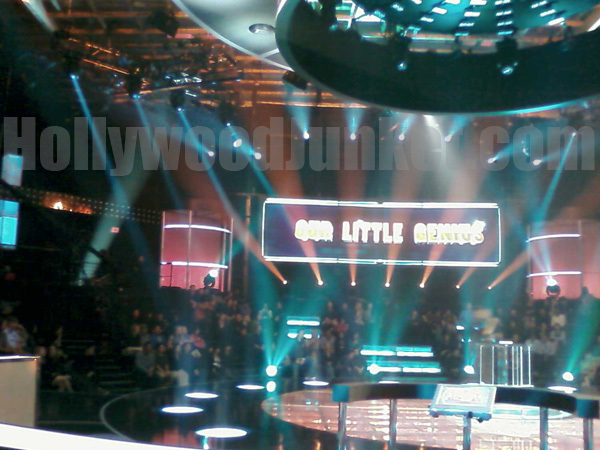 A large cylinder LED light ticker is displayed above center stage reading the show’s title “Our Little Genius”. This cylinder drops to the main floor stage before each show starts and conceals within it, that episodes’ “Little Genius” boy or girl. 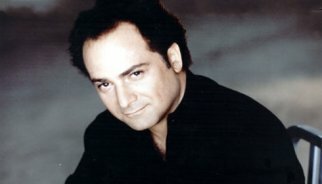 The show is hosted by veteran movie actor, Kevin Pollak (“The Usual Suspects”, “A Few Good Men”). Pollak walks the outside parameter of the lighted show sign at the intro of each show, and finalizes the intro by announcing the new genius on stage as the cylinder sign rises to reveal him or her. This seemed to be the creepiest part of the show. The child stands center stage in multiple spotlights. Pollak makes it clear at the beginning of each show that though it is a game show, there are “no games” played on this show. “No multiple choice, or true or false”. Contestants must know all multi-layered answers to questions 100% in order to move on to each round. Parents are placed directly across from their son or daughter on the opposite side of the stage. Directly adjacent to them is where three experts sit to advise the parents on how to proceed in their game with their child. Before each question is revealed to the genius, the category topic of the question is first shown to them. At that point, the child and parents decide if they would like to continue. Parents have two safety-nets. One is that they can “preview” the question. The other is that they can have the experts “preview” the question. Each expert advises them on the degree of difficulty of the question and whether or not they think that child can answer it. Each child contestant is the most knowledgeable in his or her own specialty subject. It may be computers, science, history or geography, to name a few. Their experts are chosen by being an expert in that same field of study and normally hold a PHD or higher. With the exception of one expert we saw on the show yesterday whom had not yet completed his Masters. The education level of experts seems to be matched-up to the genius level of each contestant. Each genius must answer a question that contains a number of answers in order to earn money and stay in the game. If one part of any answer is wrong, their game ends there. Each genius must work their way up to $10,000 in order to be guaranteed $10,000. The first round is worth $1,000. The second round, $5,000. The third round is what guarantees them $10,000 if all answers are correct. The money ladder moves up as follows: $25,000; $50,000; $100,000; $175,000; $250,000; $350,000 and final grand prize of $500,000. Any answers wrong after the third round, drops them all the way back down to $10,000. Questions given are at different higher education levels, starting with “College”. Then going on to “Masters” level, “Doctorate”. Then, the final question that potentially wins the genius $500,000 is claimed to be only answered by “some of the most finest minds” in the world. None of which sit on the panel of experts. Pollak also announces the results of surveys done by the show that ask various numbers of other experts and scholars in that field of study and the percentage of them that either got the answers wrong, or didn’t know. Usually, this is a low percentage occurring below forty percent. One of “Our Little Genius” episodes features a computer software coding genius of six years old. He started transcribing code with chalk on cement at the age of three! One of his guest experts is Apple Co-Founder Steve Wozniak. The coolest and best part of the show, and of the whole show day, was when host Pollak went to turn to the huge computer screen to check the genius’s answers on a question regarding Apple, then turned to Wozniak and said, “I can do better, let’s ask Steve”. Wozniak revealed the answers. 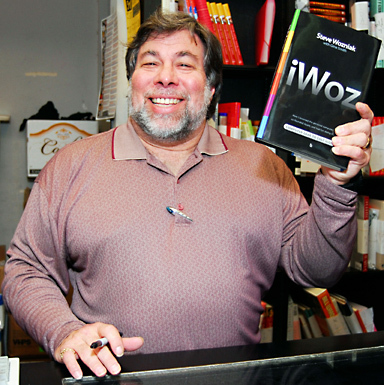 Apple Co-Founder, Wozniak is the hero of one Genius. He stated that he was reading Wozniak's biography. Contestants of other episodes include two presidential history buffs – one seven year old, the other, eleven. Another episode features a geography genius who is ten years old. Without revealing the amount of money each child won, I can state that no one walked away with $10,000 on the second day of show taping! Some examples of some of the questions they had to answer were: “Name the following computer file extensions and the original software program that opens them”; “U.S. Presidents that had the same last names and the years they served in office”; and a doctorate level question was, “Name the two rivers that meet to make the Nile, the name of the country where they intersect, and name the body of water that the Nile exits into”. Host Kevin Pollak carried an underlying comedic tone throughout the show day. Even when he was suppose to be serious, such as in the show opening, it looked and felt like he was doing a “MadTV” sketch of a game show host. Sorry, Mark Burnett (executive producer) who hand-picked this host, Pollack was, in my opinion, not the best choice for this show. Host, Pollak’s consistent pacing around the stage, and leaning on the genius’ podium was nerve-wrecking. Pollak occasionally cut-off show guests as they were ending there sentences. According to one crew source, the show will be tested by FOX to see how well it does. If the network is happy with the ratings, production on the show will immediately resume. This almost makes the small number of episodes currently being shot like mini-pilots. The production has a strong hand on set. Every take was shot to perfection, which means, some re-takes and multiple takes. Two of yesterday’s contestants were given second chances after missing one of the first two questions in the game. Their games were halted, and everyone left the stage, only to return to start a new show with new questions. This may seem like game show blasphemy. 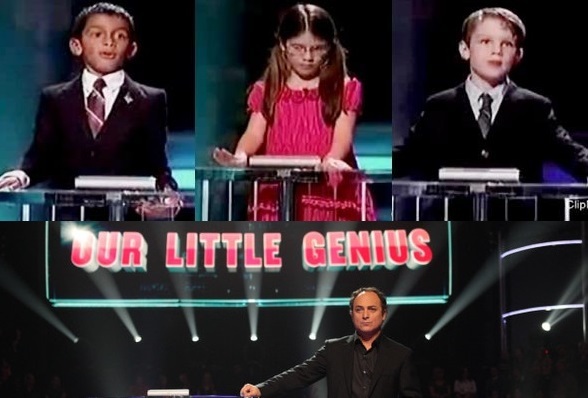 But, according to the show’s stage manager, “Our Little Genius” producers has stated in their rules that each contestant is guaranteed to win at least $10,000. In order for that to happen, contestants must answer correct the first three questions. Not sure why this rule was written into the guidelines of the show. But, I’m going to guess that it could be one or both of two things: 1) to help show ratings, and 2) the fact that a genius contestant misses one of two of the easiest questions directly conflicts with the image of being a “genius”. Therefore, this rule being in play MIGHT be there to uphold the integrity of the show. This is all HOLLYWOOD JUNKET speculation. More on that topic to come soon from FOX reps and show producers. In the meantime, “Our Little Genius” premieres on FOX prime time Wednesday, January 13 at 9pm ET/PT, then moving to its regularly broadcast time slot on Tuesdays at 9pm ET/PT on January 19. Wozniak is a hack. His 15 minutes were up 30 years ago. He’s a huge fan of revisionist history. So why waste time taping the first three questions if a genius isn’t leaving the studio without getting them right? Just start from $10,000 if you’re going to cross that line, FOX.